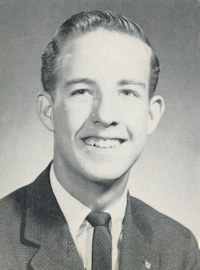 Obituary – Beasley Jr, Dr. Stewart Russell « Perry High School Alumni Association, Inc.
﻿Band ’58-’61; Band President ’59-’60; English Assembly ’59-’60; Student Council President ’60-’61; Christmas Vespers ’59-’60; Junior Play ’59-’60; Home Room President ’58-’59; F.T.A. ’60-’61; All School Revue ’60-’61; Boys’ Quartet ’59-’61; Junior Rotarian ’60-’61; Boys’ State ’60-’61; Homecoming Assembly ’60-’61; All State Band ’60-’61. Dr. Stewart Russell Beasley, Jr.
Dr. Stewart R. Beasley Jr. (Skipper) passed away peacefully on April 21, 2017 at his home in Edmond. Stewart was a Clinical Psychologist since 1976, a teacher, university professor, and advocate for mental health nationwide. He was a popular speaker, teacher, and writer who entertained schools, churches, civic clubs, and professional organizations. His ability to succinctly summarize issues related to news and psychology lead him to host a radio show on KTOK. He was frequently invited to appear on local news shows as well as CNN, NBC, CBS, ABC, and FOX. His most prized honors were for his service and professional competence by: Oklahoma City’s Contact Crisis Helpline-Outstanding Leadership in Physical, Mental, and Spiritual Wellness;	the American Psychological Association-Federal Advocate of the Year for Contributions to the Profession of Psychology at both the State and Federal Level at its annual State Leadership Conference in Washington, D.C; The Oklahoma Psychological Association – Distinguished Psychologist Citation, Citation for Distinguished Contribution by a Psychologist in the Public Interest, and the Citation for Outstanding Contribution to the Profession of Psychology in Oklahoma. 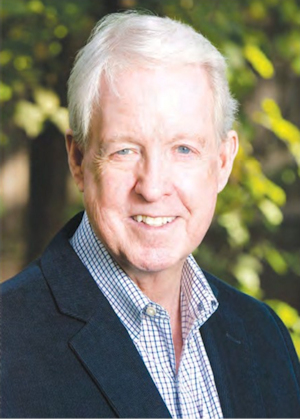 He was an active member of OPA for over 35 years where he served as a two-term President, Director of Professional Affairs, and Psychologist of the Day in the state legislature. He was the first psychologist in Oklahoma named by the Governor as a Member of the Oklahoma State Board of Mental Health and Substance Abuse Services where he served as Vice Chair. He was an appointed member of the first Oklahoma County Victim Restitution Trust Authority. Harder service was experienced when called upon to assist survivors of the Edmond post office massacre; Edmond and Moore tornado survivors; and to be live on-air early in the evening through the night after the April 19, 1995 Murrah Building bombing, talking with people about their feelings and reactions to the tragic event. Stewart Russell Beasley, Jr. was born July 25, 1943 to Stewart R. Beasley, Sr. and Mary Louella (Orcutt) Beasley in Enid, OK.
Stewart was raised in Perry, Oklahoma and graduated from Perry High School in 1961. As a youth, he was active in scouting where he became the youngest Eagle Scout at the age of twelve. In 1964, he was chosen to represent Oklahoma as a guide at the World’s Fair. After graduating from the University of Central Oklahoma, he went on to teach Biology at Edmond Memorial High School in 1966. He received a Master’s degree in Guidance and Counseling from UCO in 1968. He then moved to Jefferson County School District in Colorado to teach physical sciences and as a part-time counselor. While in Colorado, he received a Doctorate of Philosophy degree in Counseling Psychology at the University of Colorado in Boulder in 1971. Upon returning to Edmond, OK, Stewart became a Professor of Psychology at the University of Central Oklahoma where his love for teaching future counselors thrived for 15 years. After practicing psychology part-time, he opened a full-time practice in 1986, in Edmond, OK, and continued to teach classes at OSU, OCU and UCO. He was a 2008 inductee into the Perry High School Alumni Honor Roll, which recognizes outstanding accomplishments of former students. Stewart’s love and pride in his family centered him and made every day special. While growing up in Perry, OK, Stewart married his classmate Frances Evelyn Hopper in 1964. They both graduated from UCO and became teachers in Edmond and Colorado. They had one son, Stewart R. Beasley III. In 1982 Stewart married Lori Anne Johnson, and they were married for 33 years. They welcomed children Emory Breene Beasley and Evan Cole Newmark Beasley into their family. Stewart was preceded in death by his parents Stewart Sr. and Mary Louella Beasley, and sisters Marilyn and Barbara who died in infancy. He is survived by his children Stewart III of Westminster, CO, and Emory and Evan of Edmond; his grandson William Lucus, of Edmond; his sister Mary Lou Grant of Las Vegas, NV; his niece Jennifer Dillard of Perry, OK and nephew Jason Dillard and great-nephew Jason Dillard, Jr. of Las Vegas, NV; along with many other extended family, as well as special friend Lori Beasley, and many friends and colleagues who were an important part of Stewart’s life. He was a loving father, grandfather (Pops), brother, uncle, friend and colleague, as well as an advocate for so many people over the years. The family would like to thank Dr. Dean Drooby, friend and physician; Mercy Hospice; Bobbie and Coletta; Richard Hess, Tom Vaugh, Gene Walker for their Sunday night visits. A memorial service is scheduled for 2:00 PM, Thursday, April 27th at the First Christian Church at 201 E. 2nd St. in Edmond, OK.
Family will receive guests after the ceremony. Memorial donations may be made to Heartline, www.heartlineoklahoma.org, or to the Perry Alumni Association, https://perryokalumni.com.